If you’ve ever had to wear a sling for a minor arm injury, you know what it’s like to have your shoulder and arm stuck in one position for a long period of time. Now imagine suffering a shoulder injury so severe that your shoulder’s full range of motion is never restored, leaving you unable to lift your arm over your head to throw a ball with your child, or reach up to the stop shelf of your kitchen cabinet. Shoulder injuries in Georgia are often caused by a slip and fall accident, in which the arm is outstretched and gets twisted, or in a car accident, in which the victim suffers a direct blow to the shoulder. 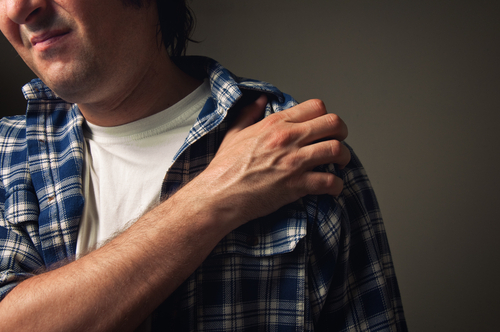 Regardless of the cause, shoulder injuries can result in life-altering disability and crippling pain, possibly even preventing the victim from returning to work for a period of time. If you have suffered from a serious shoulder injury in Georgia, contact our Marietta shoulder injury lawyers at Rechtman & Spevak today. Depending on the type and severity of a shoulder injury, recovery from the injury may take weeks, months, or even years. In some cases, shoulder injury victims may require surgery, rehabilitation, and possibly even long-term care, all of which can lead to costly medical bills for victims and their families. Some shoulder injury victims may never fully recover from the pain, stiffness, and decreased range of motion associated with major shoulder injuries, which can significantly reduce their quality of life. Shoulder injuries can be extremely serious, often involving significant damage to tendons, muscles, ligaments and/or cartilage. In some cases, shoulder injuries may be severe enough to result in lost work hours for victims, and may even lead to permanent disability. Fortunately for shoulder injury victims, critical financial compensation may be available, which can help cover the sometimes exorbitant cost of shoulder injury treatment and long-term care, if needed. Victims of shoulder injuries caused by a workplace accident, for example, may be eligible for medical benefits under Georgia workers’ compensation laws. Victims whose shoulder injuries were caused by a car accident, truck accident, or another type of accident in Georgia, on the other hand, may have grounds to file a personal injury lawsuit against the at-fault party, in order to pursue reimbursement for their medical bills, lost wages, future wages, pain and suffering, and other associated expenses. Shoulder injuries not only cause physical pain, but they can also result in financial difficulties associated with costly medical bills and loss of income. In instances of major shoulder injuries that result in permanent disability, this type of injury can also cause significant emotional pain and suffering. If you or a loved one has suffered from a shoulder injury caused by an accident in Georgia, contact our experienced shoulder injury attorneys at Rechtman & Spevak today. Our law firm is located in Atlanta, and our personal injury lawyers are dedicated to protecting the legal rights and well-being of GA shoulder injury victims and their families. With the help of our skilled shoulder injury attorneys, victims of shoulder injuries in Atlanta, Marietta, and across Georgia can pursue fair and timely reimbursement for their injuries.